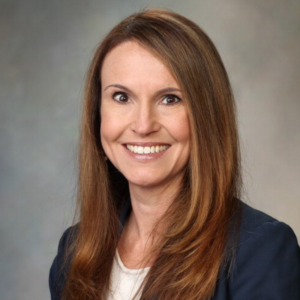 Concussion is not just an organized sports problem, says Dr. Jennifer Wethe, Co-Director of the Sports Neurology and Concussion Program at Mayo Clinic Arizona and founding member of the International Concussion Society’s Scientific Advisory Board. As a mother to a son who has experienced concussions in his day-to-day life, unrelated to organized sports, Dr. Wethe wants to change the perception of mild traumatic brain injury and educate people about treatment and prevention options. She recently spoke with us about her personal experience with concussion. Read on. How did you become interested in studying concussion? I’ve worked with individuals with acquired brain injury throughout my career. Earlier in my career, most of my time was spent with individuals who had sustained a moderate or severe brain injury. In addition to assessing injury-related changes in functioning, I worked closely with the individuals and their families to help them understand the injury, the course of recovery, and what they could do to improve functioning and enhance daily performance. Over time, I developed a growing recognition of the need to provide related services tailored to individuals with milder forms of traumatic brain injury. Even though these individuals do not require lengthy hospitalizations, they still require a timely evaluation of injury-related changes in functioning, appropriate concussion education, guidance on managing symptoms and returning to normal activities, and interventions for their symptoms. Eventually, the Mayo Clinic hired me specifically to help develop their concussion program. Have you or anyone you’re close to experienced concussion? My children have. Oddly enough, I was specializing in concussion before they came along. My son, in particular, has had a few concussions. His have occurred not through organized sports, but by virtue of being an active kid. One happened when he was out sledding. Another happened during recess. He was knocked into a playground structure then hit the ground and likely had a brief loss of consciousness. He was only in second grade at the time and neither he nor the school recognized or reported the injury. In both cases, I did not know about the injury until later in the day when I recognized that something was off and then got the full story. Have your son’s experiences changed your perception of concussion or the way you go about treating it? My son’s experiences really highlight that concussion is not just an organized sports problem. All of my son’s injuries happened over the course of his day-to-day life. Most of them probably wouldn’t have been recognized if he didn’t have a concussion specialist for a mom. I want to build awareness that concussion is not just a sports issue. It can happen almost anywhere, anytime. Appropriate concussion education, identification and management, as well as prevention of repeat injury are crucial. At the same time, it is important to take a balanced approach. Concussion is not the end of the world. Most individuals experience a full recovery from concussion, especially if it is promptly identified and appropriately managed. Physical activity, sports and opportunities for kids to be kids are very important. We certainly don’t want to take that away. Why do you believe that it’s important to educate your field about concussion? Concussion is often missed or misdiagnosed. I’ve seen cases in which a student has taken a hard hit to the head and experienced enough symptoms that they went to the school nurse, but they were told that there was no concussion or need for further evaluation because there was no visible bump on the head and the student’s eyes looked normal. At the same time, I have seen new symptoms misattributed to a prior concussion, months after the concussion had fully resolved. Both situations are problematic. Our approach to concussion identification and management has changed dramatically in the last decade. There is a lot of misinformation and misunderstanding out there. Concussion should not be ignored, but it should not be disproportionately feared either. It is important to recognize it when it does occur. We need current, accurate concussion education provided to health care professionals as well as the public so that concussion is recognized as an injury to be taken seriously, but also an injury that can be treated. What do you believe fuels the misinformation about concussion? It’s hard to say. I think some of it is the old-school belief that there is no concussion unless there is a loss of consciousness. In reality, less than 10 percent of concussions are associated with a loss of consciousness. We also have to change the “tough guy” mentality of ignoring symptoms of a real injury. On the other side, I think the risks of concussion have been sensationalized by the media. We always hear the news reports about the big, bad, scary cases, so it makes it hard for folks to maintain a balanced, accurate perception of what is typical. Jennifer Wethe, PhD, ABPP-CN, is a member of the Scientific Advisory Board for the International Concussion Society. Concussion.org, sponsored by ICS, is the No. 1 destination for information related to concussion prevention, diagnosis and treatment. Our mission is to serve medical professionals, athletes, administrators, coaches, patients and the public by providing a central repository of accurate and scientifically vetted concussion research. Working alongside our world-class scientific advisory board, Concussion.org aims to be the most trusted global index on one of the most common, yet least understood, forms of traumatic brain injury.